Nikon D300 Nikkor AF ED 80-200mm f/2.8D lens @ f/4 ISO 200 1/1000thSt. 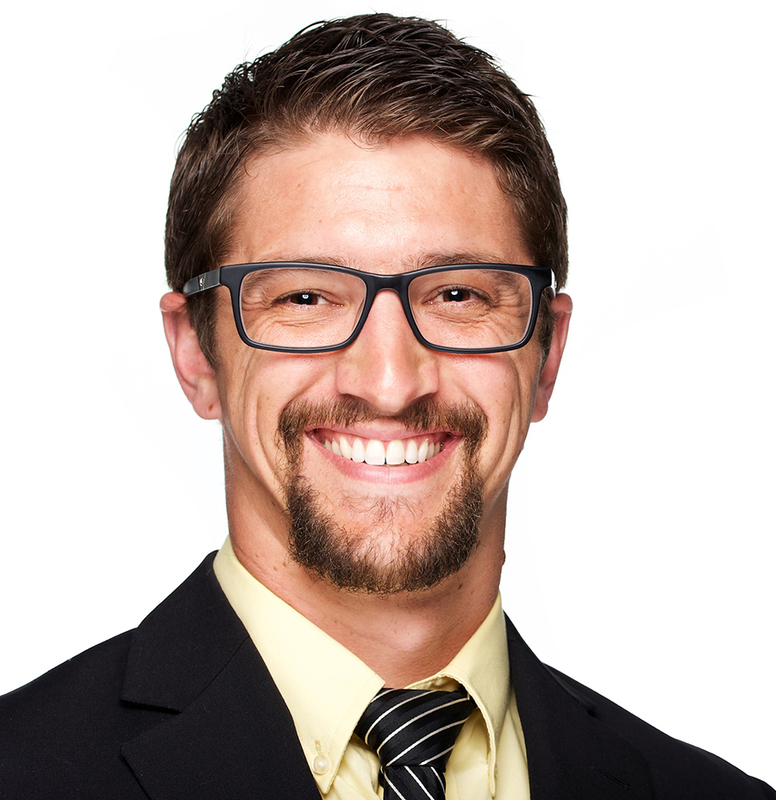 Petersburg children's loss was St. Petersburg dogs' gain. 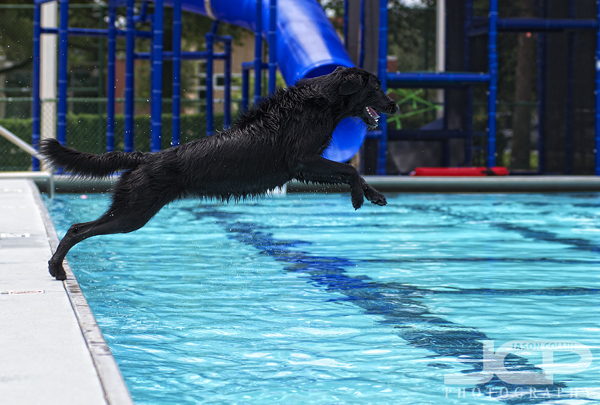 With the end of the summer swim season at Fossil Park Pool (info), it was opened up to canines. No humans allowed in the water at all. This event was very popular. When we arrived at 11:20am the pool was at maximum capacity already. We had to wait until a dog left before we could get in, but only a short time. Nikon D300 Nikkor AF ED 80-200mm f/2.8D lens @ f/4 ISO 200 1/1600thProbably the St. Petersburg Times was even at the pool earlier covering it because as I was shooting with my somewhat long Nikkor AF ED 80-200mm f/2.8D lens, several people asked me if I was with the press. I said thank you, I am a professional photographer, but I am not working today, only photographing my own dog, Kiki (other dog photos taken with permission). 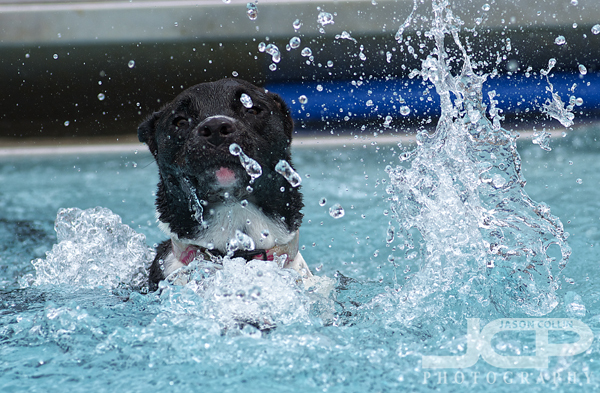 Nikon D300 Nikkor AF ED 80-200mm f/2.8D lens @ f/4 ISO 200 1/2000thI am glad I asked if I could photograph other dogs because even though Kiki is a very good swimmer, and really loves to swim, her first time at a pool seemed to be a scary experience for her. That expression on her face above would be panic. I encouraged her to go in the water, but she immediately turned back toward the wall of the pool and tried to pull herself out. 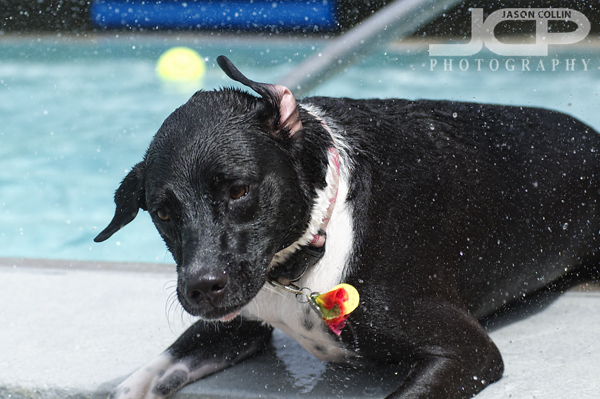 I think she did not want to swim because I was not allowed in the water also. At the dog beach, she always waits for me to go into the water with her, never going in by herself. sad puppyAll the other dogs were having a great time diving in, retrieving noodles and lying submerged on the steps of the pool. All Kiki would do was jump on the first step getting her feet wet. 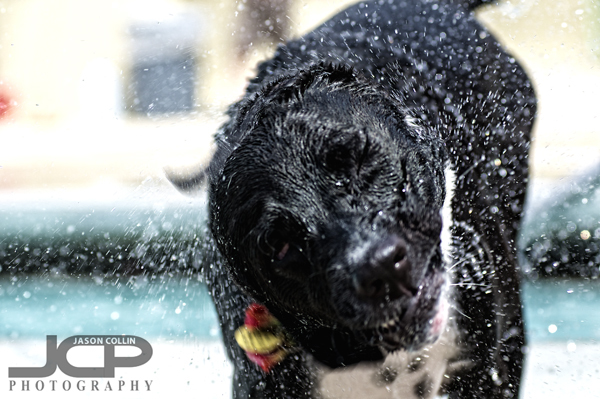 Nikon D300 Nikkor AF ED 80-200mm f/2.8D lens @ f/4 ISO 200 1/1250thAfter shaking off the pool water she went back to her usual dark park mode, which is looking for another willing dog to wrestle and chase. She made several friends and started a dry land game of chase the noodle. 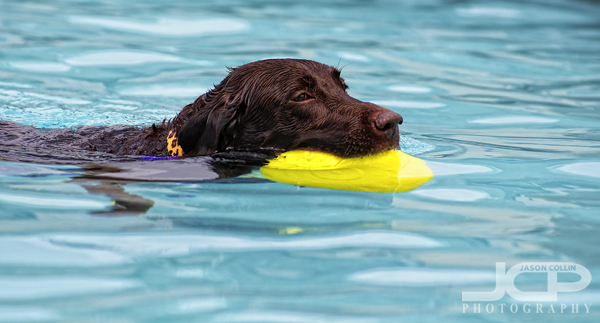 Nikon D300 Nikkor AF ED 80-200mm f/2.8D lens @ f/4 ISO 200 1/1000thThe great things about dogs, though, is that they recover almost instantly and after the pool swimming trauma Kiki was almost immediately all smiles again. For dog lovers this was a great event and I am glad I heard about it (via a friend on Facebook). 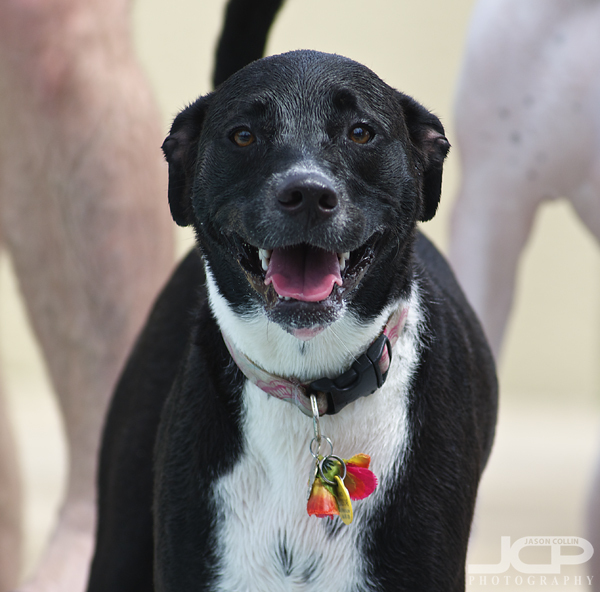 Reserve your Candid Pet Photography portrait session with Jason today!